Celeb Gossip News – Vitamin B12 deficiency symptoms: Do you have this uncommon sign in your mouth? Vitamin B12 is used by the body to make red blood cells, according to the NHS. It’s also used to keep the nervous system healthy, and to help release energy from food. But, not getting enough of the vitamin in your diet could lead to a vitamin B12 deficiency. You could reveal whether you’re at risk of the condition by looking in your mouth and checking for mouth ulcers. 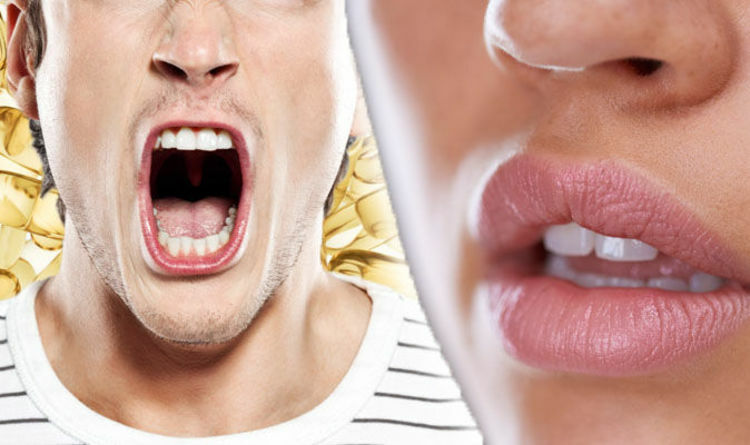 Persistently getting mouth ulcers may be a warning sign of a vitamin B12 deficiency, according to scientists in the Netherlands. People that often suffer from mouth ulcers should be checked for a vitamin b12 deficiency, the scientists said. “Mouth ulcers are common and should clear up on their own within a week or two,” said the NHS. “They’re rarely a sign of anything serious but may be uncomfortable to live with. An inflamed tongue could also be a warning sign of a vitamin B12 deficiency, warned nutritionist Helen West. The condition, which is known as glossitis, causes the tongue to change colour and shape. Glossitis can make the tongue red, swollen and painful. It may even change the way you speak or eat. “The inflammation can also make your tongue look smooth, as all the tiny bumps on your tongue that contain your taste buds stretch out and disappear,” said West. To boost the amount of vitamin B12 in your diet, you could try eating more fortified cereal. Fortification involves adding extra nutrients to the food. If you decide to eat fortified cereal, be sure to choose one with the least amount of added sugar. Speak to a GP if you’re worried about the signs of a vitamin B12 deficiency.